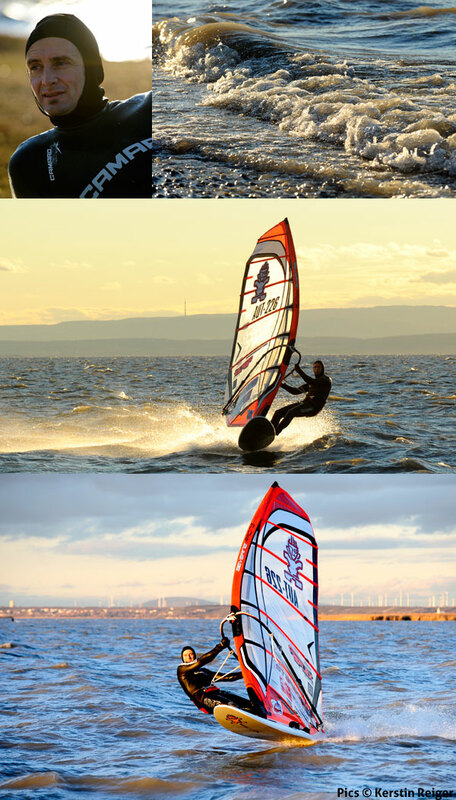 While the last weeks the conditions had a lot of variety on my homespot, the lake Neusiedl. We got some days with strong wind from south eastern direction and I could get some good speed on my GPS. So I am in the 2010 ranking on top. Check out the following link! ItÂ´s really hard to reach a speed above 65 km/h on the super choppy lake. The best conditions are with strong south eastern wind. The 67,24 km/h max speed was my personal best one ever on the lake. You have to find a relatively flat area. Then it perhaps would be possible to speed up to 70 km/h. Really hope to reach this next level soon, but will need excellent conditions. The GPS results from the windy day. Was on Reflex 6,2 and iSONIC 86 plus Pfaffi 31.5. Several days with light wind followed. I got the Formula kit out of the cellar and out on the water and had a lot of fun on the 162 plus the 11,0 Code Red from last year. A lot of warm air from the south moved up to our country and it gave me the chance to have several nice bikerides. Today, finally a strong north westerly front arrived and I rigged my Severne Reflex 6,2 and got the iSonic 86 tuned. With airtemperatures in between 4Â° and 8Â°, windgusts up to 30 knots and a water temperature around 8Â° it was quite nice. Kerstin took some super cool shots. While the next days the wind should stay, but it will get colder, but not as much below zero, that the lake will be covered with ice! So far the autumn conditions were excellent. Since the return from Sylt on the 4th of October we had more than 20 excellent windsurfing days. I could use all boards sizes in 86,111,131 and 162 plus sailsizes in 11,0/ 9,6/ 8,6 / 7,8/7,0 and 6,2. Just the 5,6 was not on the water for a while. But could bet that the big winterstorms will arrive soon and then itÂ´s time for 5,6! A very nice day on small Slalom gear (Pics: Kerstin Reiger).